Integrate your Shippo account and connect with 20+ carriers around the world. Print labels and fetch rates without having to leave Jetti. Out the box, Jetti can provide access to discounted USPS and DHL labels. 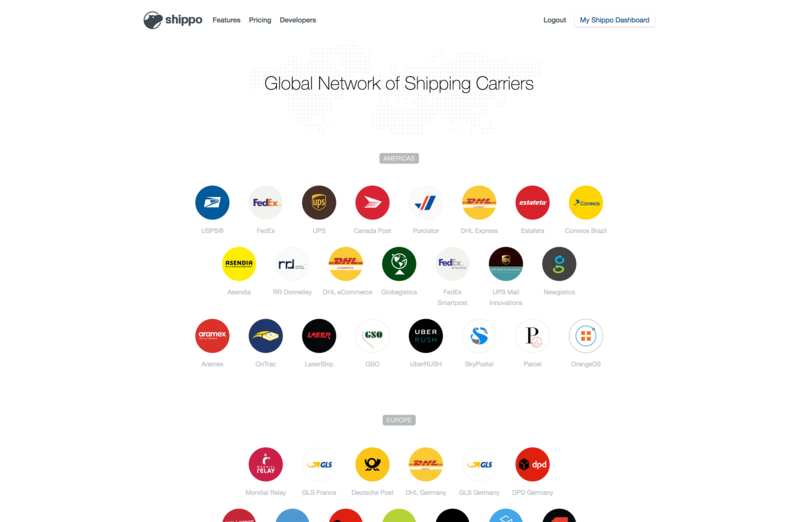 We've also partnered with Shippo to provide access to dozens of other carriers. This will allow you to print labels for both in-house and dropship orders. Your workflows won't need to change and your vendor's won't need to do anything different than printing from Jetti's USPS account. They won't even have to go to the Shippo website - everything is done within Jetti and the dropship portal. Go to http://lets.goshippo.com/jetti and signup for a partner account. You'll need to enter billing details - this will be used to charge for the creation of the labels. Once signed up, you'll be given two tokens. A live API token and a test API token. You'll need to enter these tokens under the General fulfillment section in the section area. We recommend entering the test API key to start with. This means you won't be charged for the labels (you'll clearly see on any label printed whether it's a test). You'll now be able to generate labels through your Shippo account. We recommend checking out the Shippo documentation for details on how to add additional carrier accounts. If you do add an additional account (e.g. integrate your own FedEx account), you'll need to get in touch with support so we can enable it.